A bill that would amend state law related to insurance producers was approved March 15. 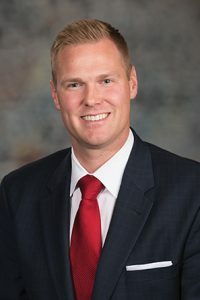 LB743, introduced by Omaha Sen. Brett Lindstrom, creates regulations for public adjusters—individuals who provide compensated assistance to an insured in the filing and settlement of a property claim against an insurer—through adoption of the National Association of Insurance Commissioners model law. • prohibits an individual from acting as a public adjuster without being licensed in accordance with the act, misrepresenting that they work for an insurer or entering an agreement to repair property that the adjuster was engaged to adjust. • require that the itemized description of the work, materials, labor, fees and total amount to be paid be furnished to the insured and insurer prior to commencement of repair or replacement work. In addition, the bill specifies that the itemized description does not limit the insured or a residential contractor from identifying other goods and services necessary to complete repairs or replacements.